We are delighted to have recently been donated this ‘novelty’ teapot made at Nantgarw China Works in the late nineteeth century. 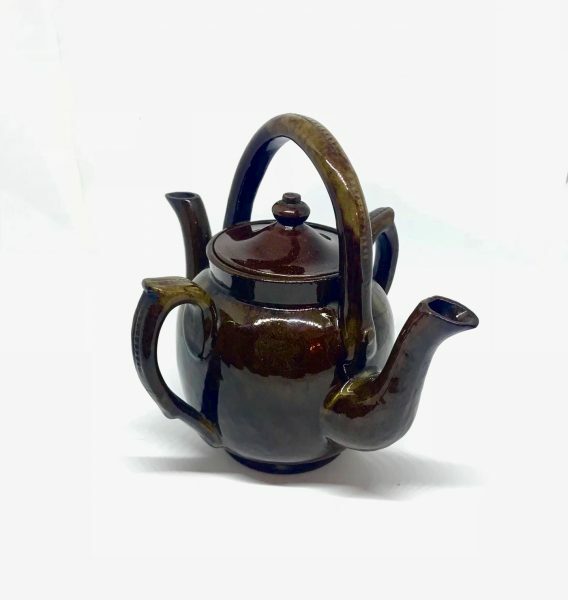 The double spouted teapot, made from high fired red/brown earthenware, was made during the period when Percival Pardoe was running the China Works. At this time the factory was producing a range of ‘utilityware’ including pots, bottles and flowerpots as well as large numbers of clay pipes. The teapot will form part of an exhibition of the work of the Pardoe family planned for Autumn 2018. We are grateful to Geraldine Cummings for donating the teapot.